Hello! Thank you for visiting my shop. <3 Please know that this item was handmade by me on my sewing machine (not in a factory!). 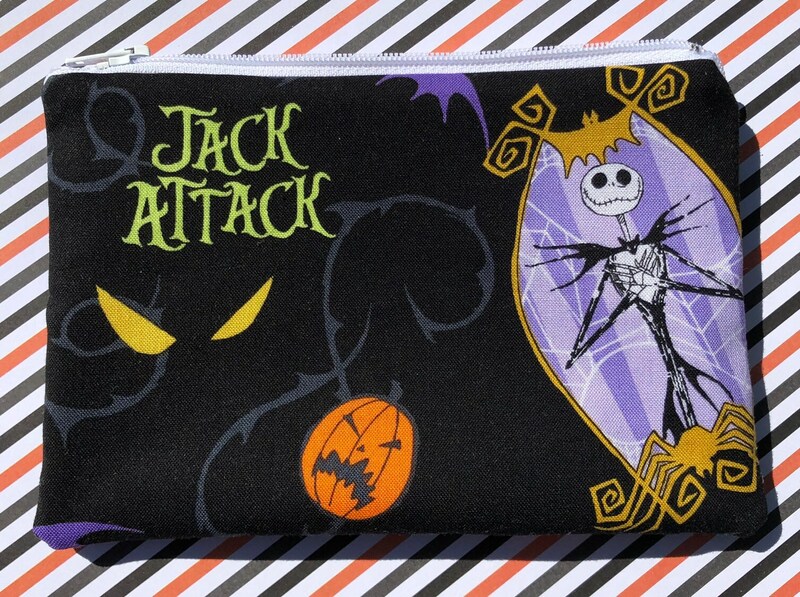 These Jack Skellington pouches are limited edition. Once they’re gone, they’re gone. This zipper pouch was made using A Nightmare Before Christmas Jack Attack fabric. I gave the pouch a black zipper and a solid lavender lining.